This new book of flash prose contains 85 pieces resembling rectangles – unless you fall into one, of course, whereupon you’ll be briefly in another world. Prose poems, vignettes, mini-rants and diatribes, call them what you like. We call them windows. With cover art by the fab Drew Morrison. 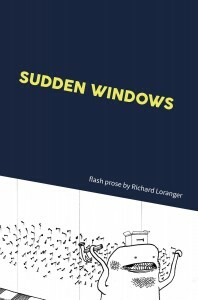 Of course, prose poems are not uncommon, but Loranger’s title choice, Sudden Windows, and his decision to label these pieces “flash prose” heightens our senses to the form. Unlike static snapshots, through windows we can witness the various events that make up a minute, an hour, or longer. They move beyond the stillness of a portrait and the implied narrative of an action shot. — Click here to read the full review. You can sing these words, or stop and feel them. These pieces are big, mind you, Loranger is giving you some options. They are not crossword puzzles for the recoil of lush indignation. They are about a death in the family, a life in the family, and a call to spin, rustily and noisily, through this stint on earth, trying not to plagiarize emotions or listlessly cover hits. Reinvention is overused. Delving is boring. So how does a poet sing, now, in the 21st century, as the earth is winning the war against humanity? 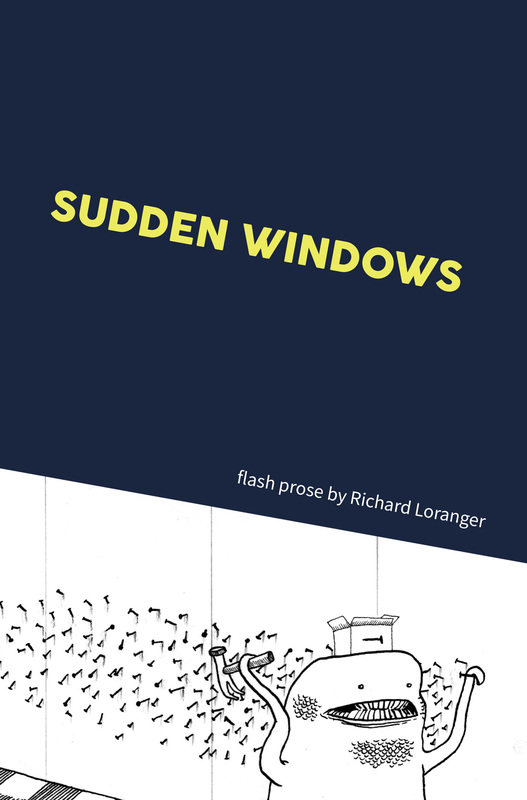 Loranger writes in Sudden Windows, “Why can’t we speak of falling leaves? You can have your economics and your ironies, but can you live without the fall? How many acorns need to drop on your head before the crumbling leaves become your heart? You may speak of preciousness…but this is the eternal fugue, my friend, an eddy, a year, and you can no more shun the river than you can not fear.” Loranger is no innocent bystander. 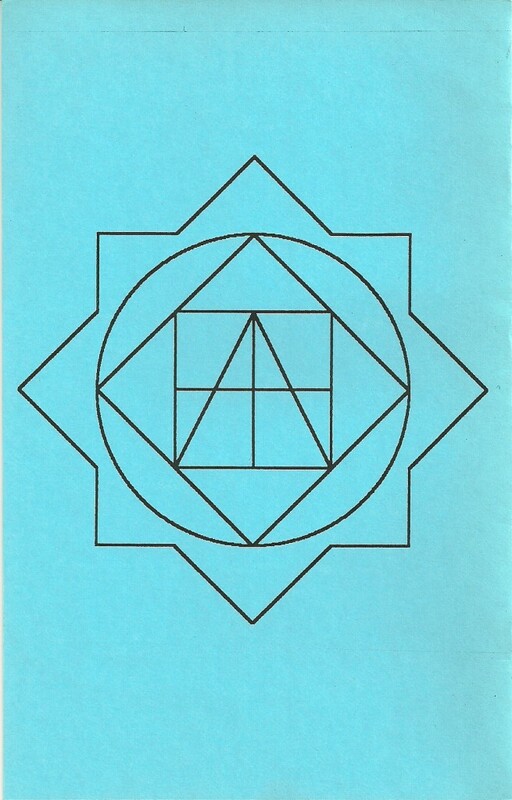 He becomes one with the earth as with a lover’s body. He tussles and then melts into it until we feel his bones turning to ash. To my mind, the prose poem has never had a more adept practitioner. Echoes and enjambment, like the eddies themselves, drift and float throughout the text. Add a pinch of anger, a tablespoon of despair and a cup of rage and you have a book that, shot out like a rocket to space, shall endure through the ages. I’d like to read this book in heaven. Absolutely beautiful. Thoughtful, methodical, the images stunning and guiding hand, soft palm on shoulder, feathered layers, warm sheets, smile. Thank you for allowing Sudden Windows out into the world. The Questions Project began in San Francisco in the 1990’s as collaboration between artist/musician/poet Bill Mercer and poet Paul Landry. 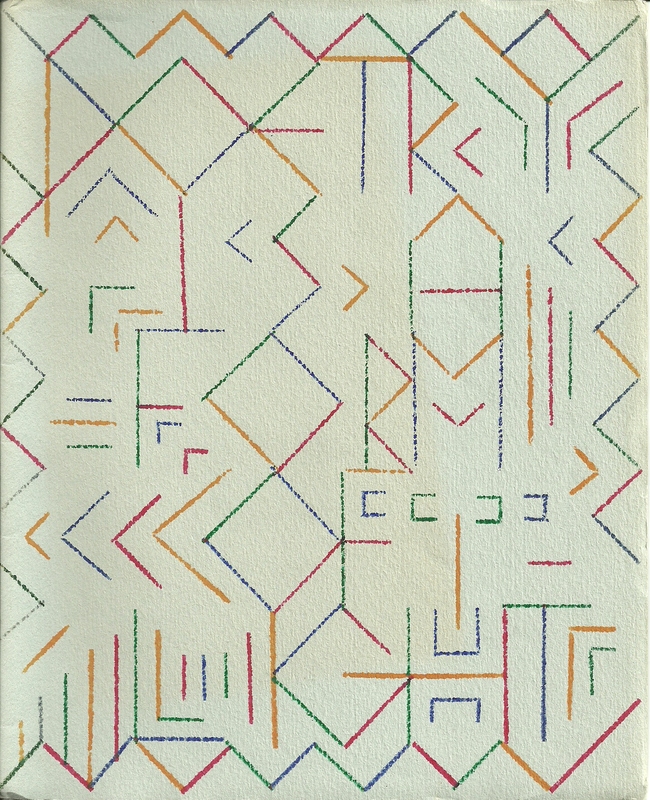 Bill began by producing a number of calligraphic artworks using brushes and ink, each of which represented or suggested a question mark in some way or another. Paul responded by writing a poem for each piece which addressed, described, or depicted a question that each piece of calligraphy suggested to him. 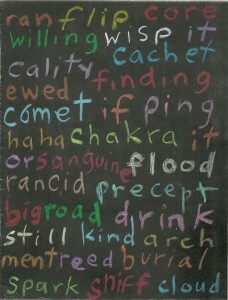 In the years since, Bill has created literally hundreds of such pieces, to which dozens of poets have responded. 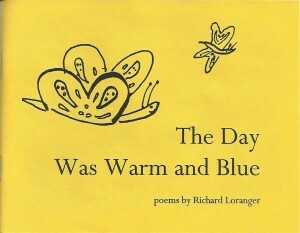 This book represents one such response, with reproductions of the calligraphic works by Bill Mercer presented aslongside the reactive poems by Richard Loranger. 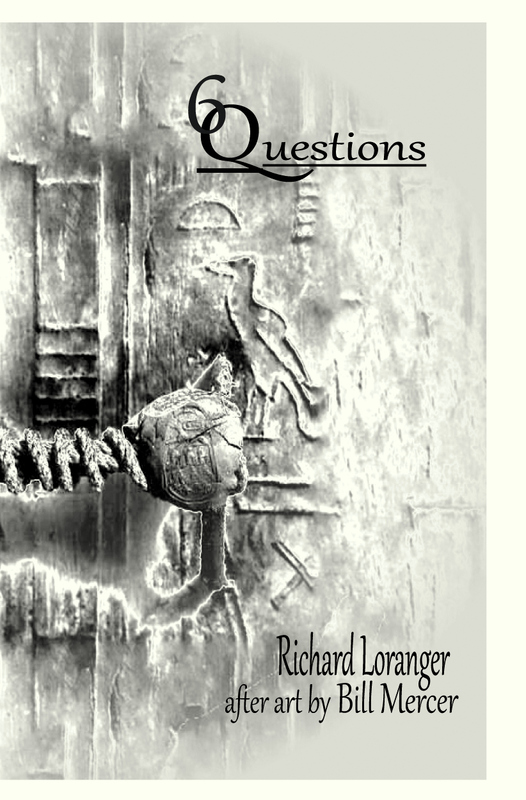 In this case, Richard created a series of six poems, each of which both asks a question and depicts a specific type of questioning. 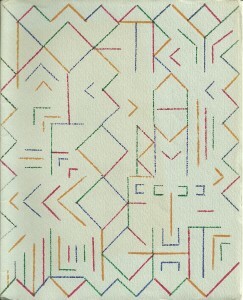 He considers the title of each poem to be the accompanying artwork itself. 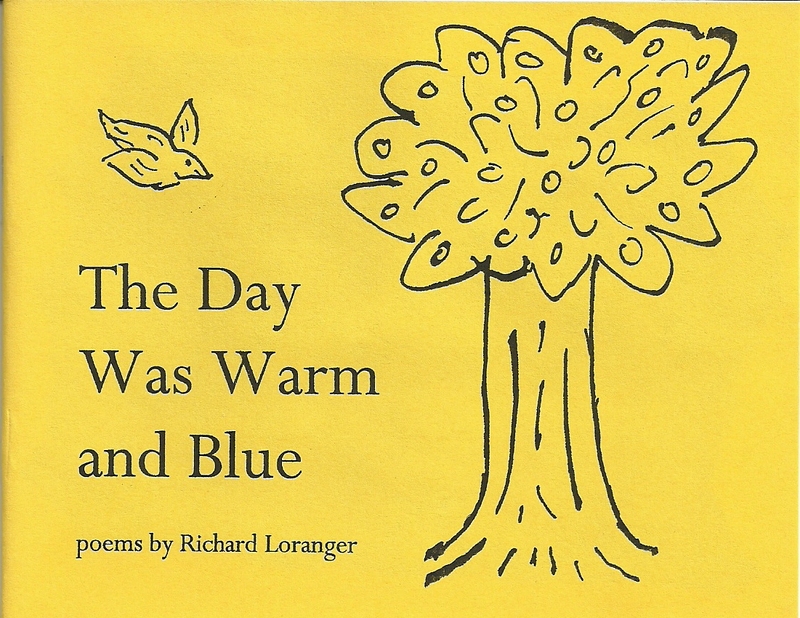 Richard Loranger’s Poems for Teeth is an artistic marvel. In addition to extraordinary poems, the book contains calligraphic representations of each poem prepared by the author and artist Eric Waldemar, and musical scores and notations for songs within the poems. 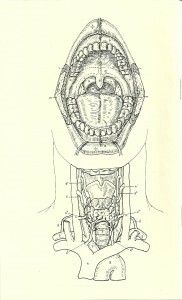 A diagram that charts the identity of each tooth appears at the outset, so that the book functions hypertextually as well. The volume [is] what poetry should be: a multimedia tour de force. When it comes to poetry – and believe me, it takes a lot to come to poetry! – obsession knows no bonds, bounds, nor excesses. Case in point: This Loranger…. So now, of course, we have Poems for Teeth, where every tooth gets its own poem, in one of the most extraordinary and virtuosic poetic feats since Francis Ponge took on Soap (1942-67). Ponge on poets: “They know how to hide, to dissimulate their usefulness.” Wrong. As the extraordinary poems in this one-of-a-kind venture by a one-of-a-kind poet unwind, the Reader’s Mind gets a much-needed deep flossing, unhidden and totally useful. 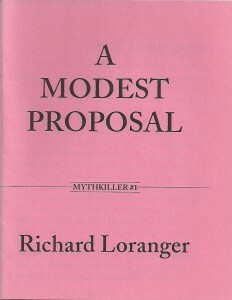 Richard Loranger is another word for Blessing, and this book is another piece of evidence. I treasure it. 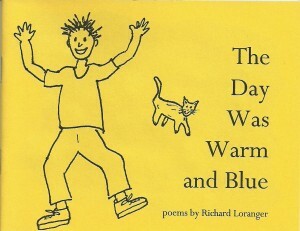 — Read a fuller blurb by Bob in “Poetry Picks: The Best of 2005” on About.com. 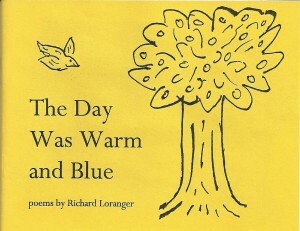 My favorite mammal Richard Loranger now lives in the Bay Area and writes the best undiscovered poetry in the universe. His verse chews around the human condition in an articulate and ticklish way. As I said in an old article for my press blog (which features a poem he wrote in celebration of my college milieu of burgeoning writers), ‘Many lesser poets have or attempt Richard’s unbridled energy, but few possess the same exquisite formal ability that turns electricity into something diamond-shaped.’ Do yourself a solid and track down his perfect debut collection Poems for Teeth, and fall in love. 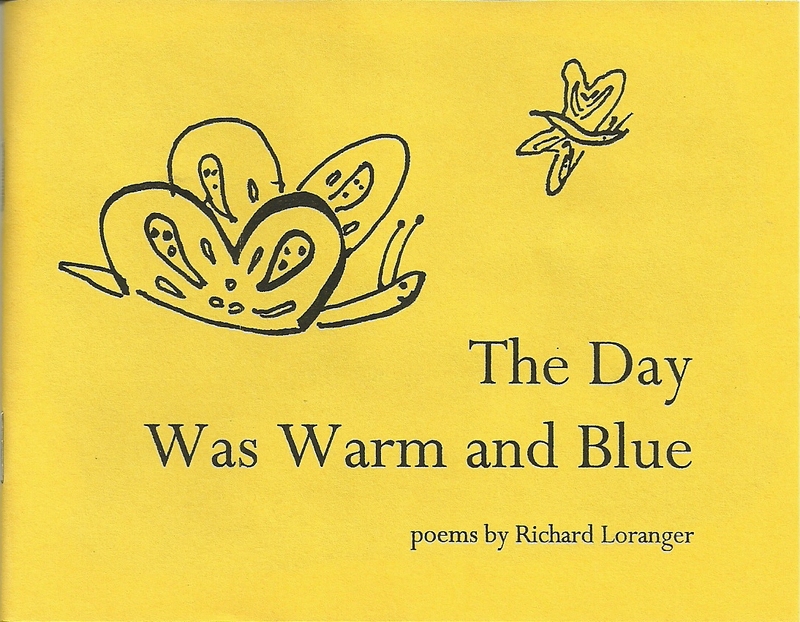 — To read the article “Richard Loranger, Mammal of Verse” by Lonely Christopher, click here. 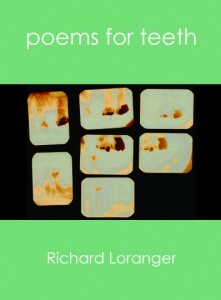 Loranger specializes (if we can even use this word) in series poetry, so the book Poems for Teeth etches its niche through teeth, all the teeth in a human mouth, and each tooth tells a story, sings about life. Before long the poems cease to be about teeth. 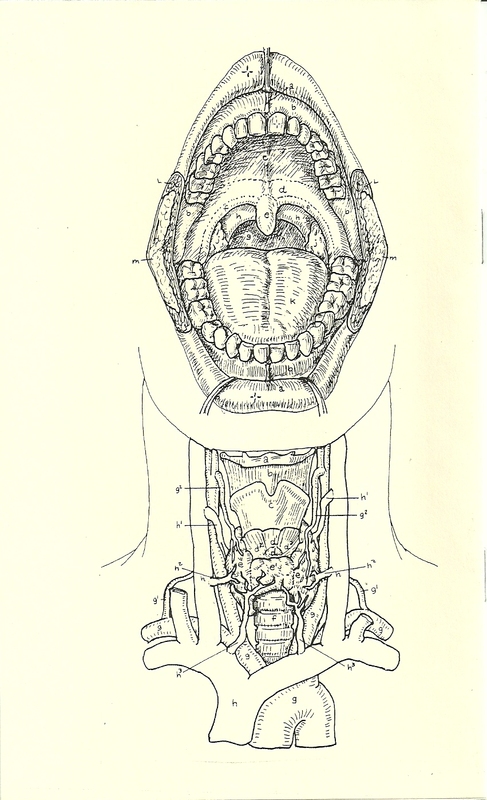 In some tooth logic the poems reach out and grapple with other realities–exhibitionism, absurdity, or the politics of nations, to pure entertainment, when the poet breaks into song. But, I know nothing if I don’t understand the language here, focused and unadulterated, certainly it’s a dream, a landscape wrought of the mouth, our most vulnerable frontier, he suggests almost politically speaking asking in his introduction if health insurance should be a luxury. Loranger has much to say about these places he’s been and you’ll recognize them one after the other from Elysian Fields (Santa Cruz?) to the scenes of more contemporary crimes, Bagdhad (NewHaven), any urban mix up of lives and concrete, torn by sound, and of course also where the lyric resides. I see in this work some of our contemporaries: Nate Mackey, Tony Kushner, Marianne Faithful, and then those before, Keats, Yeats, Crane, Duncan, Ginsberg. 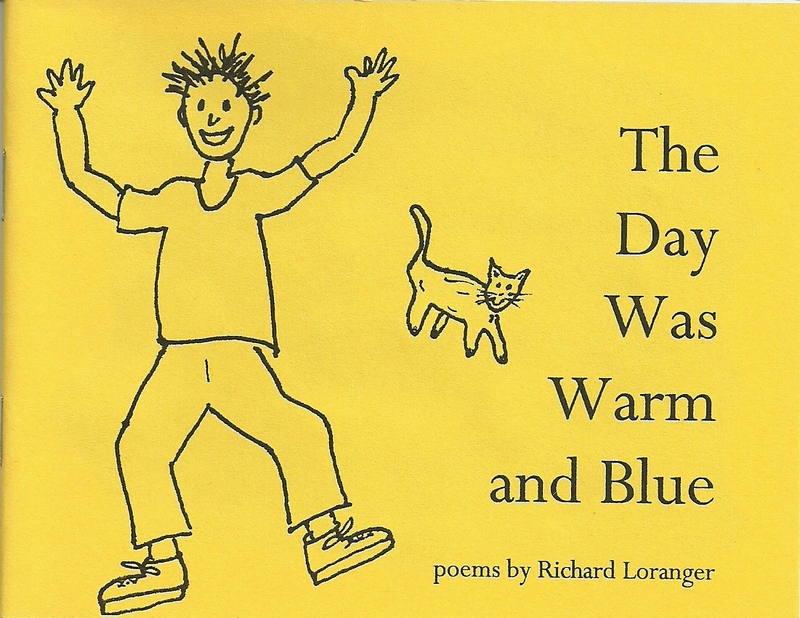 Spurred by brief conversations that Richard Loranger was having with invisible people in his shower, Hello Poems (a.k.a. Hello.) document a nine-month exploration into what it means to say – you guessed it – Hello. 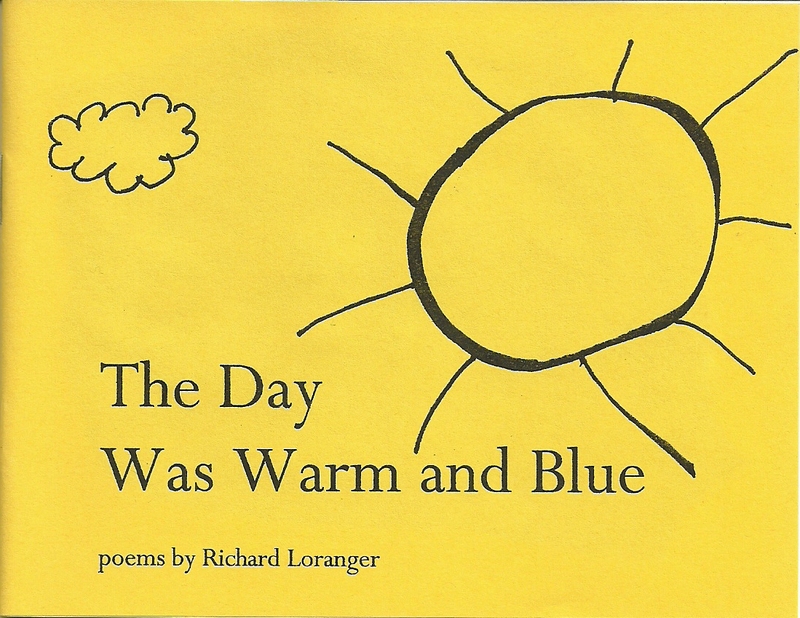 Considered by some to be Loranger’s most political work to date, this unusual and delightful series of sixty-seven short poems will certainly give you a new perspective on the nature of the greeting, one that will give you pause and let you crack a smile in the same breath. 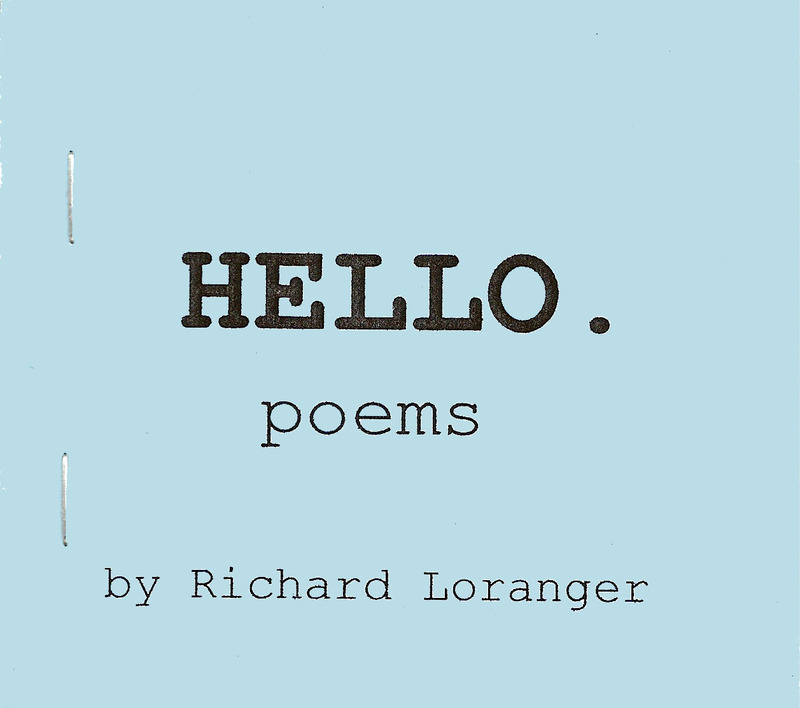 The dozens of short, deceptively-simple poems in Richard Loranger’s Hello Poems are funny, witty, and thought-provoking. 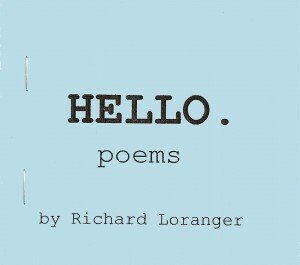 In Hello, Loranger offers us nothing less than a rollicking, no-holds-barred conversation with the universe. I love the way it sets you up with these simple exchanges and then out of the blue whams you with profundities like “I’m shackled by truth and beauty” and then goes right back to the mundane: “That doesn’t sound good.” Really an eye-opening book that shows how much can be done with the simple verbal exchanges we mostly don’t pay attention to. HELLO made me so happy. Startled me into happiness, my brain was happy, my feet were happy, my elbows happy. Poetry can also do that. Hello Poems is a collection of truly enjoyable miniature conversations on the subtle tensions, pleasurable reliefs, and humorous problems that exist in the way our words collide with each other. Each of these poems is a little song that drifts by. They are the shadow of an acrobat tumbling in air, a cat in each eye. They are a drink of water after an argument, the mystery of television. 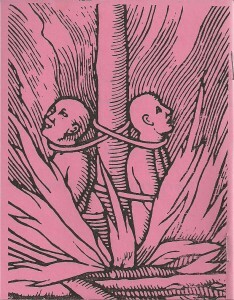 Doused in gasoline, simple, lyrical, they want to know who’s in charge, will only listen to the secrets of plants, then wait quietly, to get the names they need to celebrate their small fire. Time has nothing to do with them. I mean, who needs time? 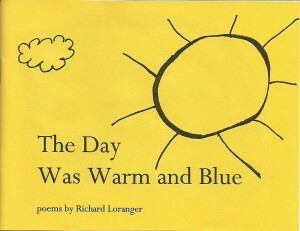 These poems keep going on and on, each in their little, magnificent way, all warm and blue. — Read Janey’s complete (and much more explicit) review here. Sold as a set only. 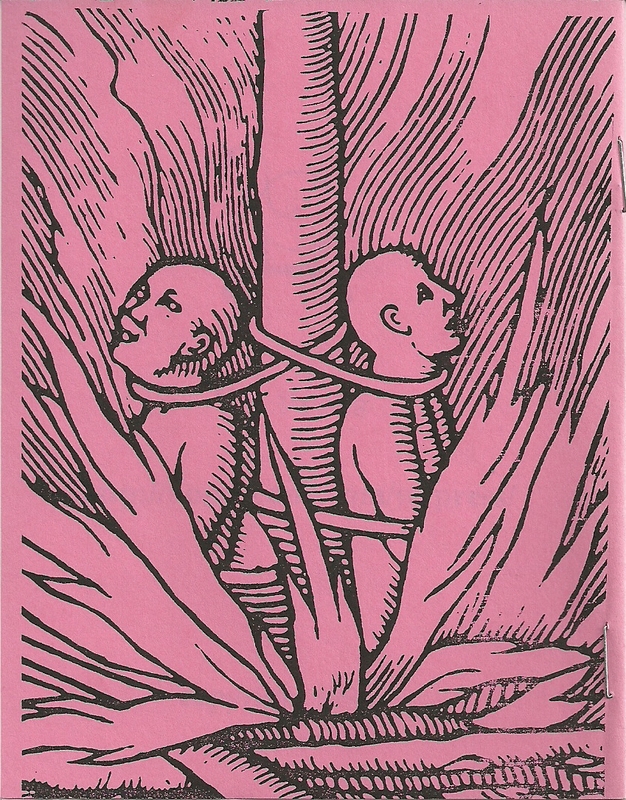 These three chapbooks of creative non-fiction were developed from a series of monologs in which the author attempted to unveil oblique truths of the world around us. They were originally printed to distrubute on tour with Lollapalooza in 1994, and remain artifacts of political insurrection. 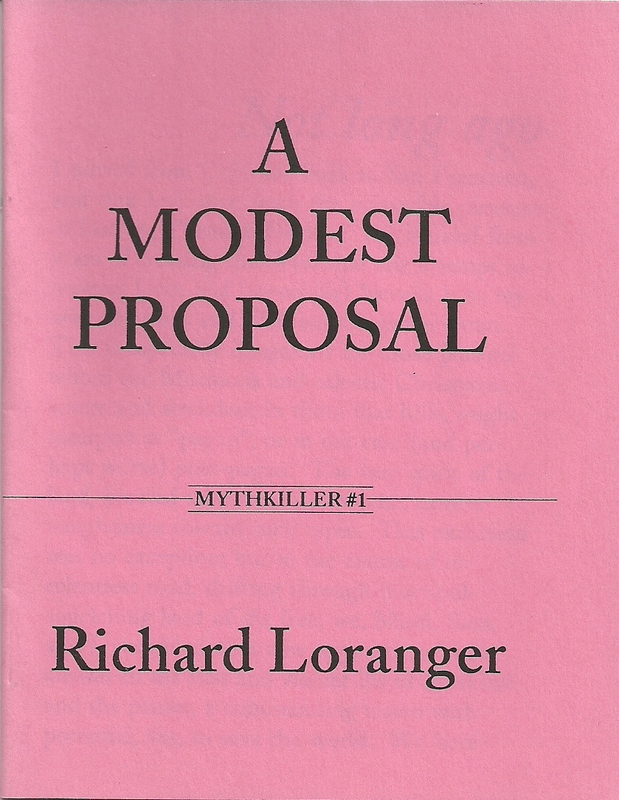 Mythkiller #1: A Modest Proposal (6 pp., 4.25 x 5.5 “): In which the author proposes the formation of a new political movement for the betterment of all. 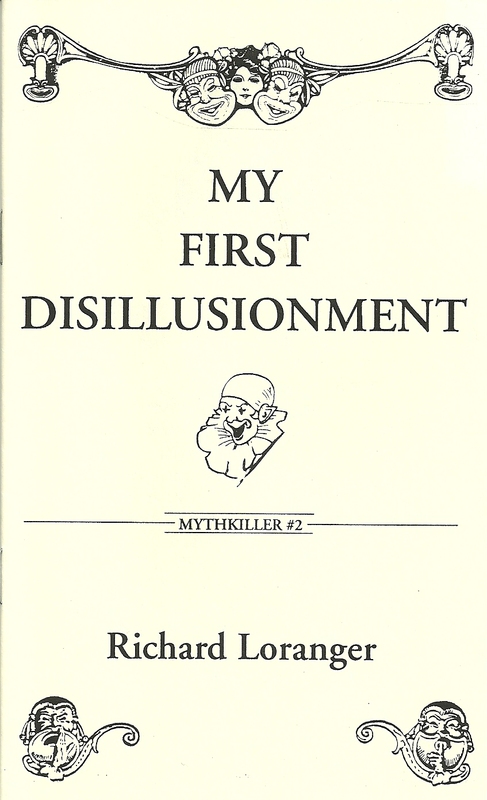 Mythkiller #2: My First Disillusionment (6 pp., 4.25 x 7 “): In which the author reveals how an unfortunate incident on his third birthday had devastating international ramifications. 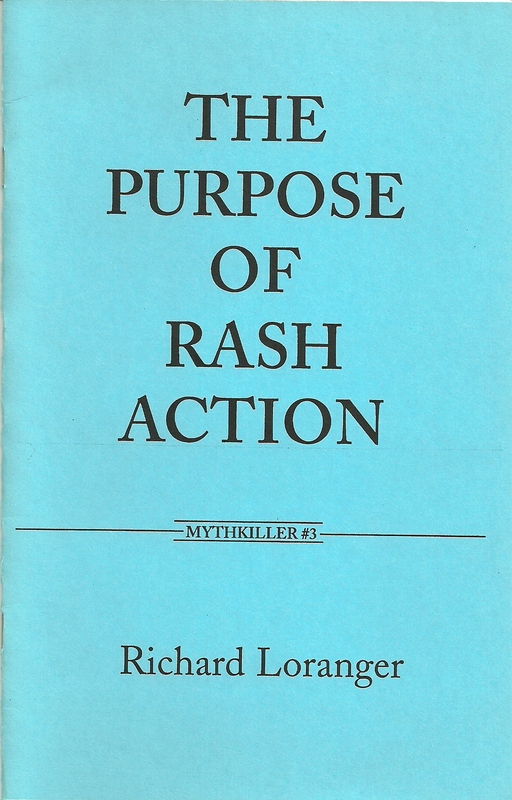 Mythkiller #3: The Purpose of Rash Action (10pp., 5.5 x 8.5 “): In which the author explores the Stygian realm of temp work, and is saved by a mystery of molecular physics. Originally titled “The Sluttiest Thing I’ve Ever Done”. These deceptively simple tales display the same apparently hard-wired quirky faux-arch style with which he regaled the Bay Area readings of the early 80’s, but the content’s mined from a richer vein. All three are essentially road stories laced with an unforced co-mingling of humor and horror. A Modest Proposal, tongue firmly and deeply in cheek, confronts the irrationality of both the state and the state of mind of Nevada with an overly final solution. 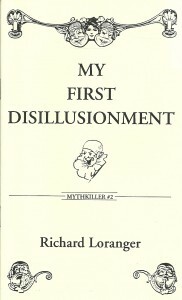 My First Disillusionment is the author’s recollection of his first innoculation, at age 3, agains the ravages of the media and, incidentally, his first brush with the tectonics of divine providence. The Purpose of Rash Action, a Chicago interlude, serves as both a kind of recapituation and a resolution of the first two, and leads gracefully into the realms of strategy. 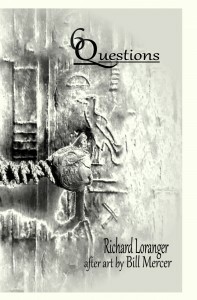 Intelligent, but not vainly so, and multi-layered, Loranger remains refreshingly prepared not to be the hero of his own story, but he does insist upon sharing the delight he reaps in reveaing the works and workings of his mind. Go there. 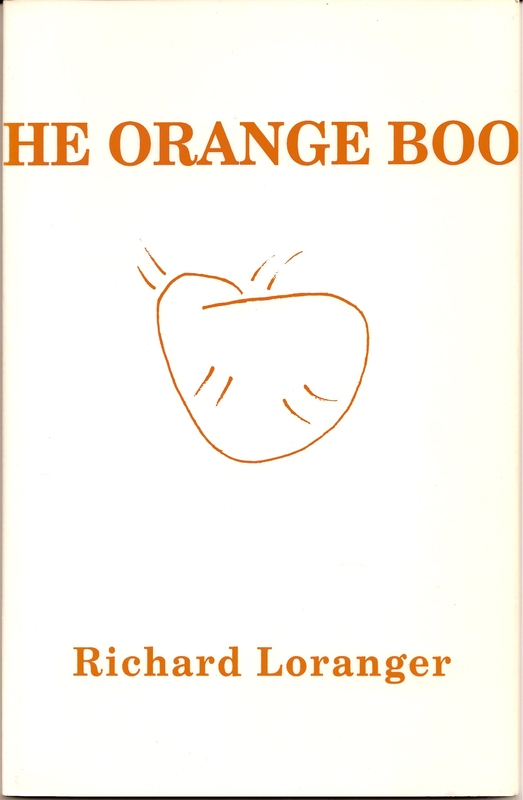 The Orange Book ranges deftly between political rants, humor, and very graceful metaphysical conceits in classical metrics. Click here to read a pdf version! 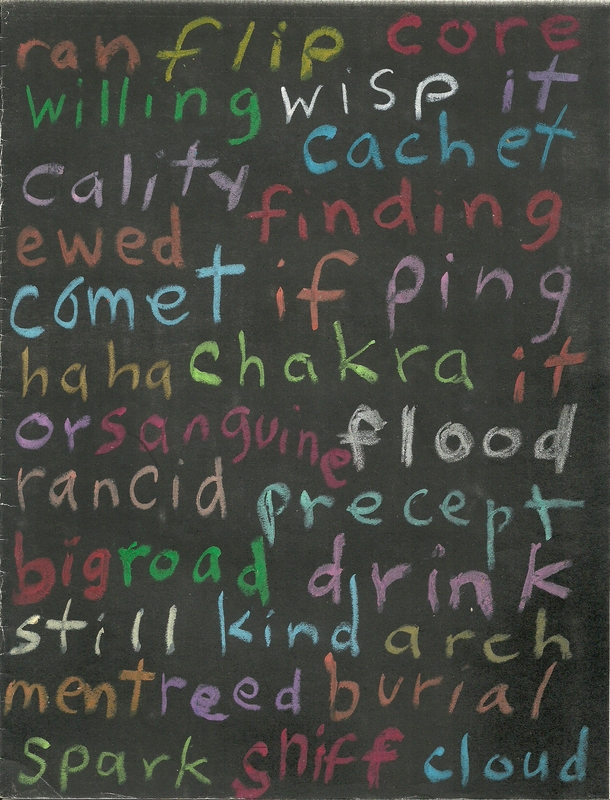 "...an incredibly inventive writer who can do anything he wants with language." 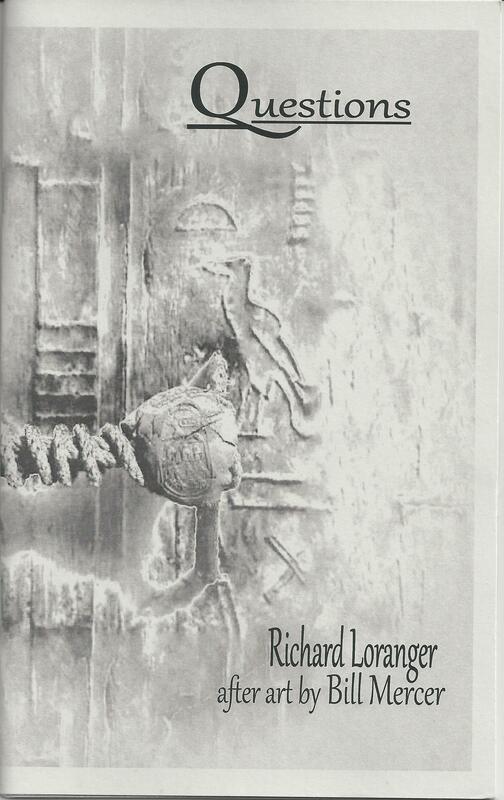 "Many lesser poets have or attempt Richard’s unbridled energy, but few possess the same exquisite formal ability that turns electricity into something diamond-shaped." "Here's a fellow who stands by all appearances disinclined to ever pattern his writings merely to fit theories or curry mainline favor." 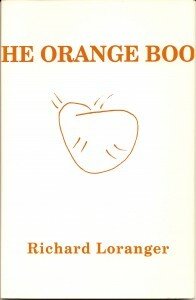 "Richard Loranger’s Poetry as Food Pyramid has an immense cubist peach balanced on the tip: every bite Richard shares has a devious and bittersweet mind of its own."